I was introduced to R during my statistics undergrad in 2006 and have been trying to learn to use it properly ever since! I love the power, flexibility and expressiveness of the language, and hope I can help others to appreciate it too. Studied biochemistry, arctic ecology & geology, PhDed in diatom biofilms. Worked in tech support @Prezi & in pharma-LIMS. Automate all the things responsibly! I work with R since 2015 and learned with several courses on Coursera and FUN. I like to help others and Exercism is the right place. 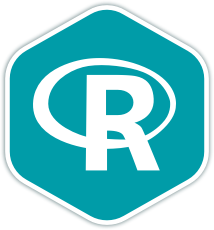 I use R in my work quite frequently and was introduced a long time ago when i was in grad school. I love the flexibility and readability of the language and would love to help others! I enjoy using R for quickly analyzing data and plotting. I've used R to analyze fisheries data and server request logs. I'm a PhD student in Political Science at the University of Mannheim and an active R user since 2014. With its unique combination of self-exploration and guided feedback, exercism is the ideal way to learn and master coding in R.
Throughout my studies, I was introduced to R in 2013 and discovered the beauty and flexibility of this language.I use R on a regular basis for my PhD project in peace and conflict studies.